Becoming a New Man in Christ. "If, then, we have died with Christ, we believe that we shall also live with him." (Romans 6: 8). A few days ago, I walked into a parish office with a clothing shopping bag. The receptionist noticed and asked what is going on. "Easter is a few days away. I am going to become a new man at Easter." The more I thought of this conversation, my words grew in my mind to become like a prophetic utterance. I cannot grade my Lent as A+. But I entered Lent 2018 with a huge desire for transformation. 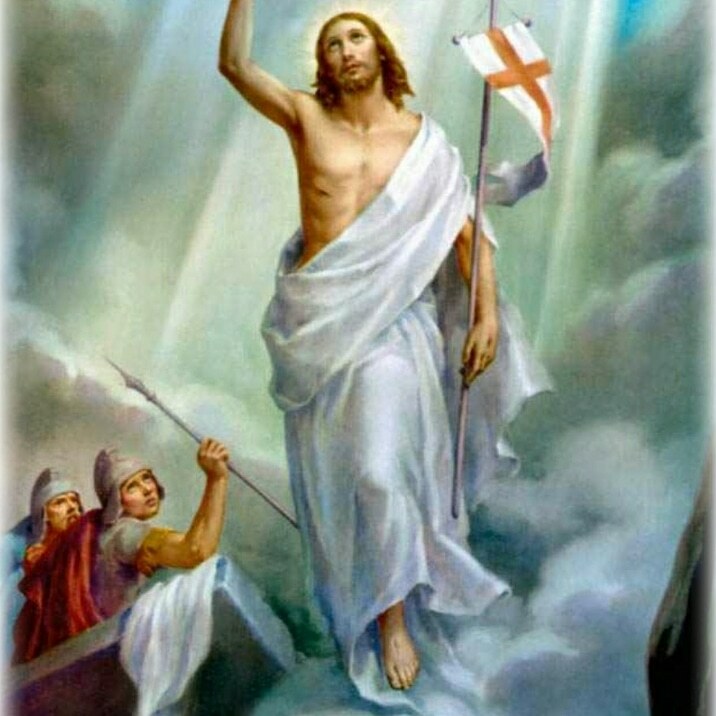 With regard to becoming a new man at Easter, I said to myself: God in His merciful love and providence will deal with me according to my desires and not according to my deeds. Yes, I can be truly a new man. How? I have a new perspective in everything. A supernatural perspective. I surrender all my foolish fears, worries and doubts to Jesus. Just as Christ was raised from the dead by the glory of the Father, I too might live in newness of life. (Romans 6: 4). I believe therefore I become. Behold the Man. Crucify Him! "So Jesus came out, wearing the crown of thorns and the purple cloak. 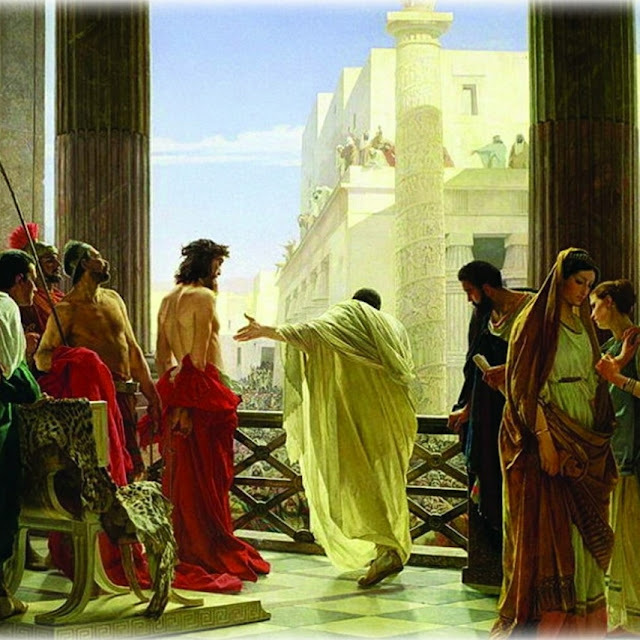 And he [Pilate] said to them, “Behold, the man!” When the chief priests and the guards saw him they cried out, “Crucify him, crucify him!” (John 19: 5 - 6). "It is love "to the end" that confers on Christ's sacrifice its value as redemption and reparation, as atonement and satisfaction. He knew and loved us all when he offered his life. Now "the love of Christ controls us, because we are convinced that one has died for all; therefore all have died." No man, not even the holiest, was ever able to take on himself the sins of all men and offer himself as a sacrifice for all. The existence in Christ of the divine person of the Son, who at once surpasses and embraces all human persons, and constitutes himself as the Head of all mankind, makes possible his redemptive sacrifice for all." (CCC 616). Lord Jesus, You can wash my feet. "He came to Simon Peter, who said to him, “Master, are you going to wash my feet?” Jesus answered and said to him, “What I am doing, you do not understand now, but you will understand later.” (John 13: 6 - 7). Today is Holy Thursday. According to ancient tradition, the Church celebrates this evening the Mass of the Last Supper. When Jesus celebrated the first Mass at the Last Supper, the Apostles did not understand what He was doing. 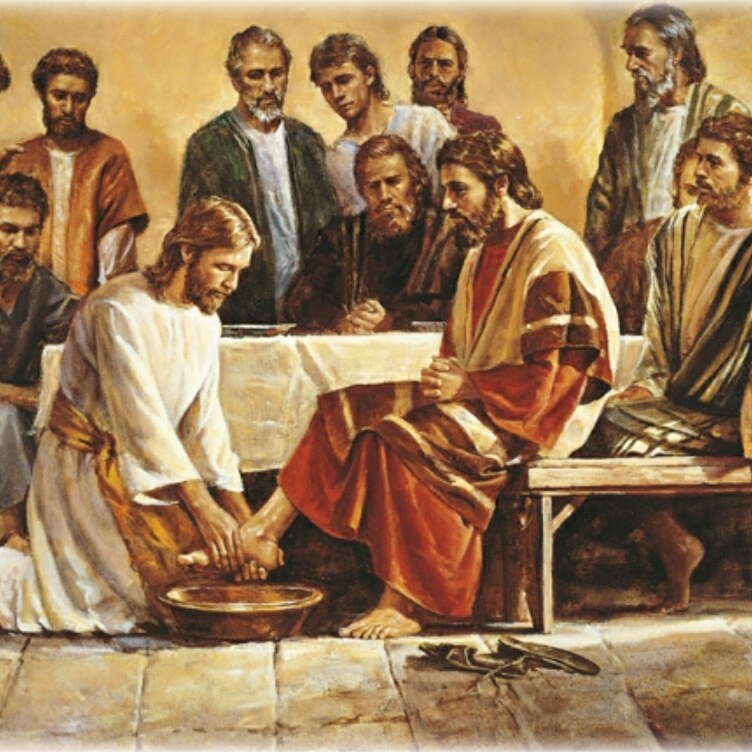 The narrative of today's Gospel is dominated by the event of the washing of the feet of the apostles, an event so significant that it was incorporated into the Holy Thursday liturgy from ancient times. What does this event mean for us? First, are you going to allow Jesus to wash your feet this evening? I once refused and still regret it till today. "Peter said to him, “You will never wash my feet.” Jesus answered him, “Unless I wash you, you will have no inheritance with me.” (John 13: 8 - 9). Whose feet will you prefer to wash? "If I, therefore, the master and teacher, have washed your feet, you ought to wash one another’s feet. I have given you a model to follow, so that as I have done for you, you should also do." (John 13: 14 - 15). The priesthood was instituted on this day. No priest, no Eucharist. No Eucharist, no Church. O Lord Jesus Christ, our Eternal High Priest, bless all Your priests. Prosper their ministry and protect them from the evil one. Amen. and from that time on he looked for an opportunity to hand him over." (Matthew 26: 14 - 16). On Tuesday of Holy Week, we consider again the Mystery of Betrayal. 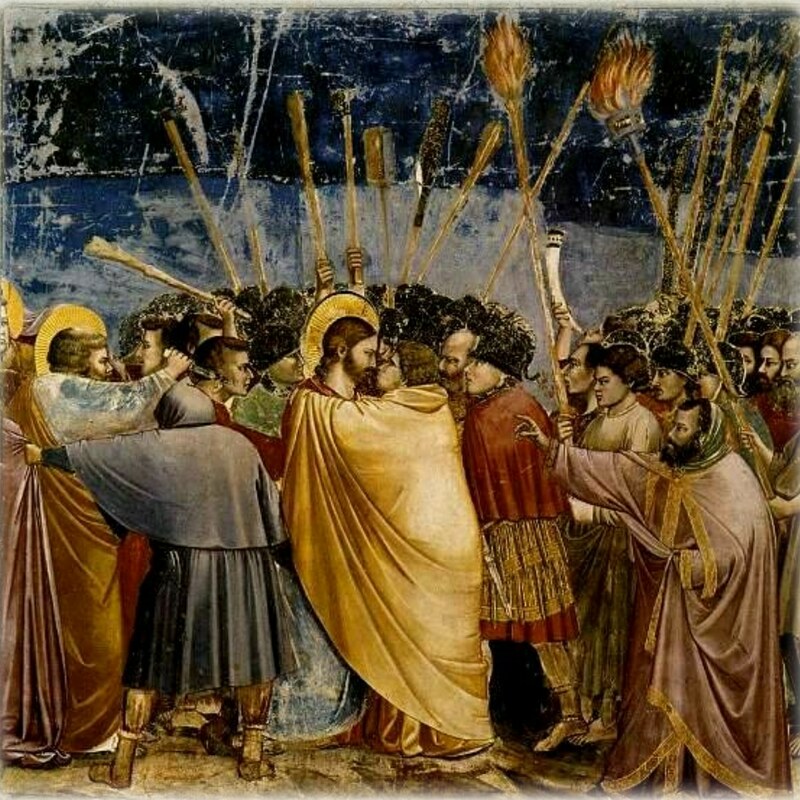 We shall look at Betrayal through the genealogy of some Betrayal characters in the Bible and Church history. + English Bishops under Henry VIII except Martyrs and Saints John Fisher and Thomas More. "The Son of Man indeed goes, as it is written of him, but woe to that man by whom the Son of Man is betrayed." (Matthew 26: 24). "Hail to you, our King, obedient to the Father; you were led to your crucifixion like a gentle lamb to the slaughter." (Gospel Acclamation). Every sin is a betrayal. 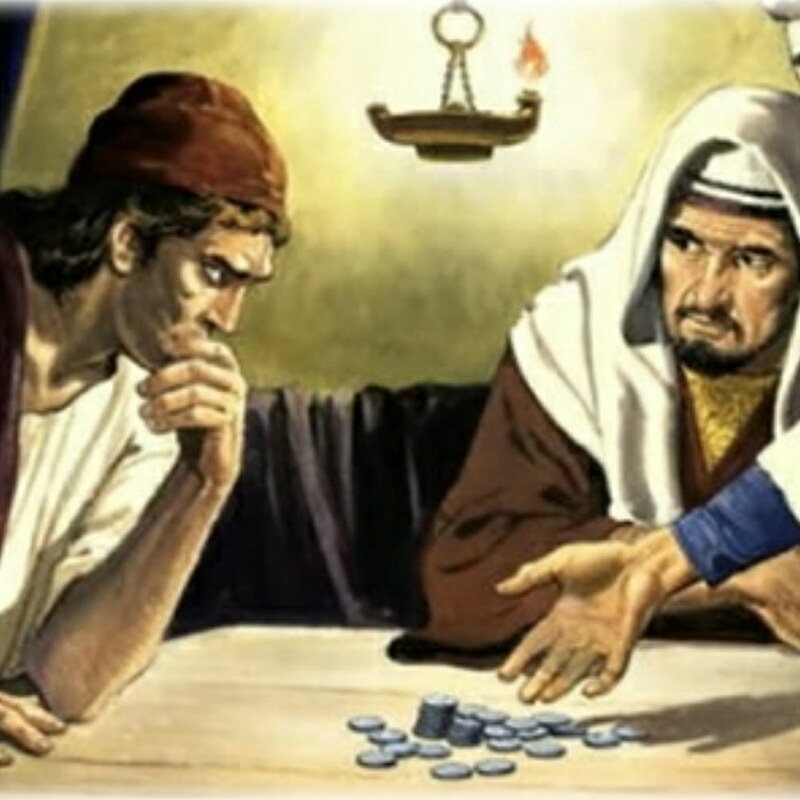 “Amen, amen, I say to you, one of you will betray me.” (John 13: 21). Why is every sin a betrayal? God permitted the betrayal and the humiliation of Jesus so that the plan formed long ago for our salvation will be fulfilled. The betrayal of Joseph who became the Prince of Egypt by his brothers is a foreshadow of that of Jesus several centuries away. Dearest Jesus, you are right. I can betray you and I will betray you unless you help me. Help me for I am weak. Help me for I do not want to betray you. March 27, Tuesday of the holiest Week in 2018, what are the open doors in your life today? All “alien gods” of whatever nature, be they money, health, family, job, tools, food or love of security and comfort could “take advantage of us”(Psalm 16: 4) and become open doors for temptation to betray Jesus. 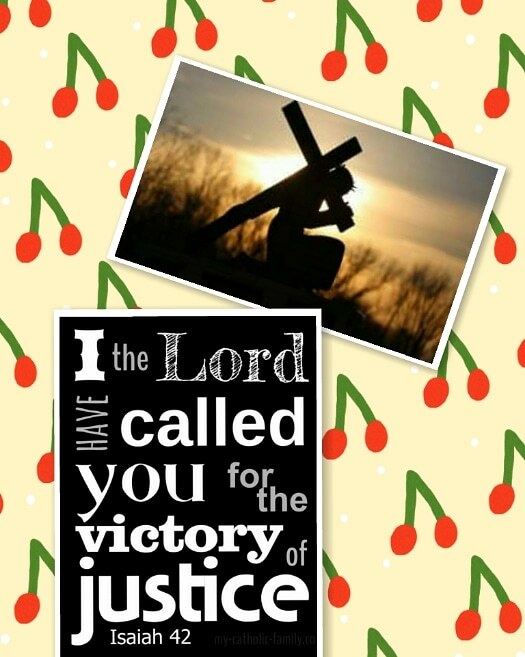 Are you called to the Victory of Justice? a light for the nations. To open the eyes of the blind, to bring out prisoners from confinement, and from the dungeon, those who live in darkness." (Isaiah 42: 6 - 7). Are you one of the elite troops called to the Victory of Justice? Do not be afraid! Rejoice! Because He who calls you has anointed you already for Victory. But first, you must study and master your job description and the character profile that is required. "Here is my servant whom I uphold, my chosen one with whom I am pleased. Upon whom I have put my Spirit; he shall bring forth justice to the nations. Not crying out, not shouting, not making his voice heard in the street. A bruised reed he shall not break, and a smoldering wick he shall not quench. Until he establishes justice on the earth; the coastlands will wait for his teaching." (Isaiah 42: 1 - 4). Jesus Christ has completed His Mission. He brought truth and mercy to the world. (Cf John 1: 17). He established His Kingdom here on earth of which the Church is the seed. (Cf CCC 567). The Church possesses the Fullness of Truth but not yet the Fullness of Charity. The Fullness of Charity is what brings about the Victory of Justice on earth. Warriors of Jesus Christ, the Lion of Judah, do you get the message? Though war be waged upon me, even then will I trust." (Psalm 27: 1, 3). Brothers and sisters, today is March 26, Monday of the holiest Week of 2018. Easter is just days away. "Therefore lift your drooping hands and strengthen your weak knees." (Hebrews 12: 12).